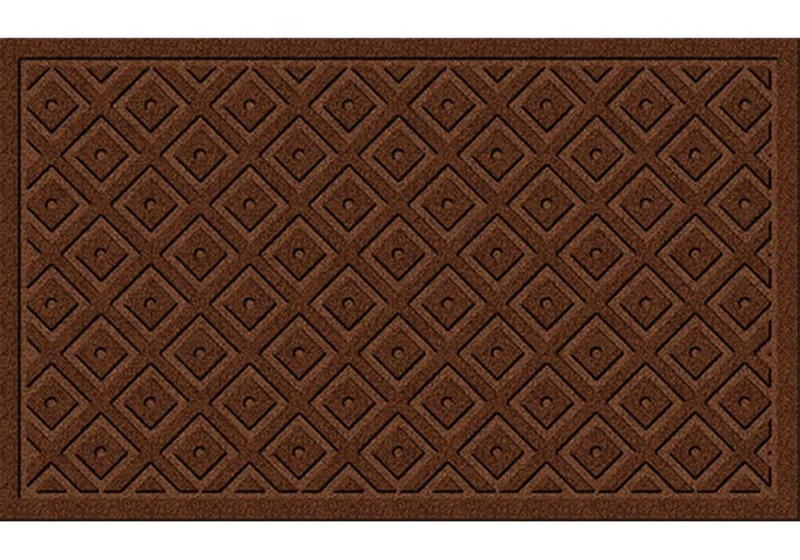 Scraper outdoor door mat. Durability, traction, great cleaning action. 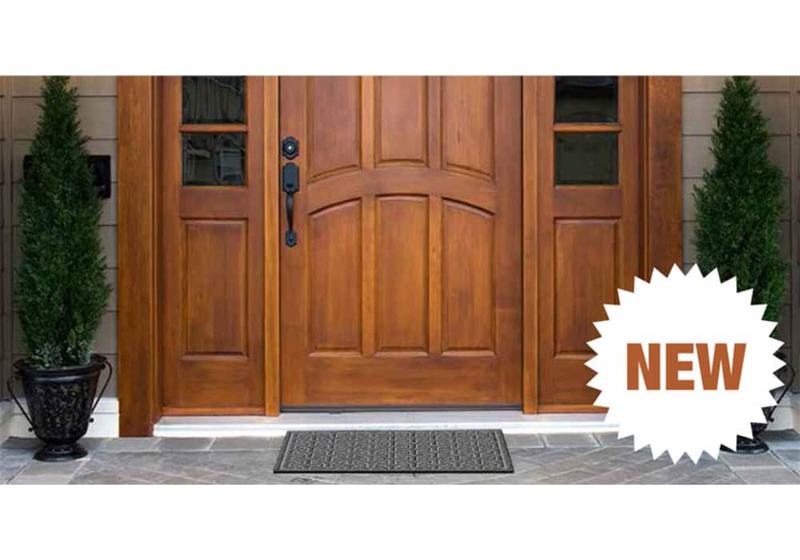 Ideal as outdoor entrance mats, this rubber doormat is extra rugged and hard working. 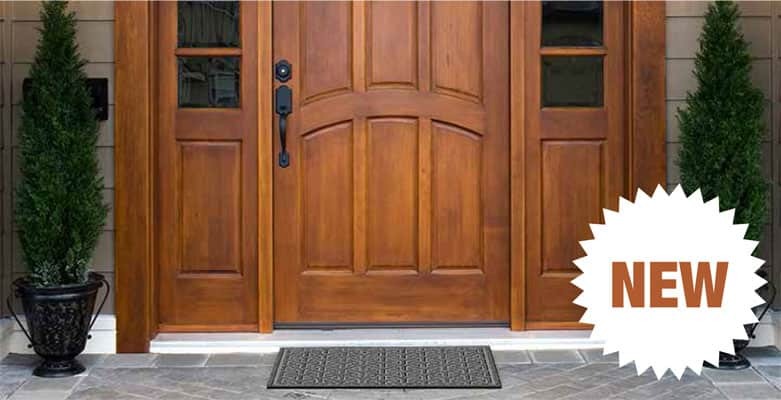 This Boot Scraper Door Mat is made from durable recycled rubber construction. 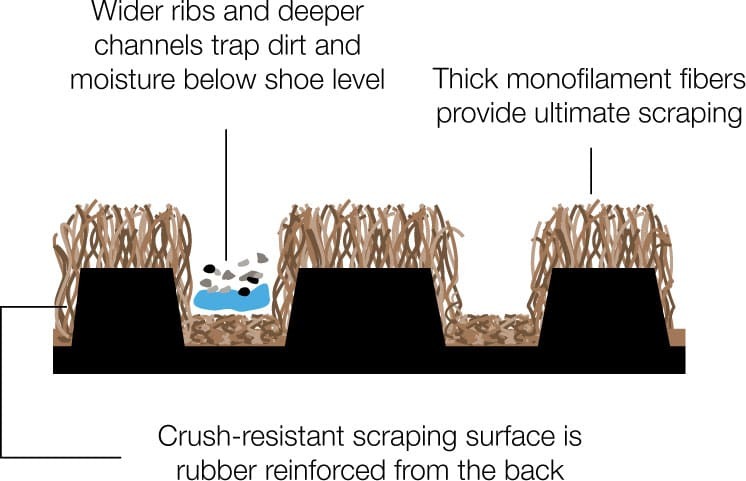 Its functional "rib and channel" molded designs act as scrapers to remove heavy dirt and soil from boots or shoes, while providing an excellent anti-slip surface. 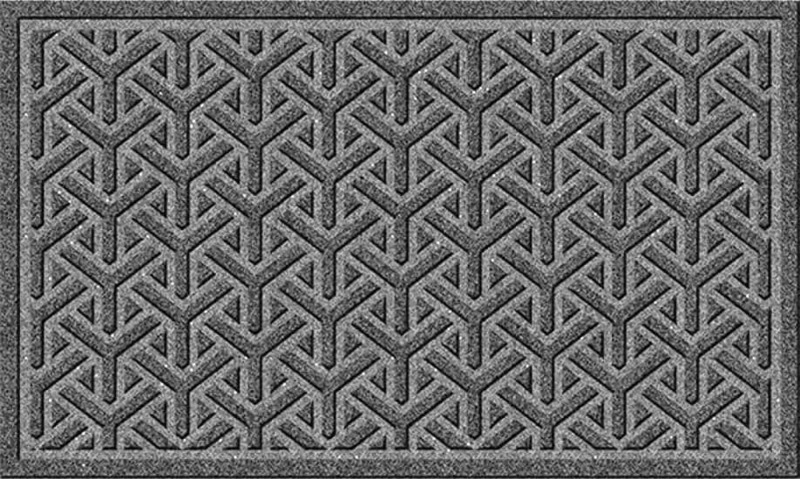 The extra heavy base keep the rubber door mats in place. They are easy to clean - just shake or hose off. Ideal for mud or snow conditions. Intended for indoor or outdoor use. 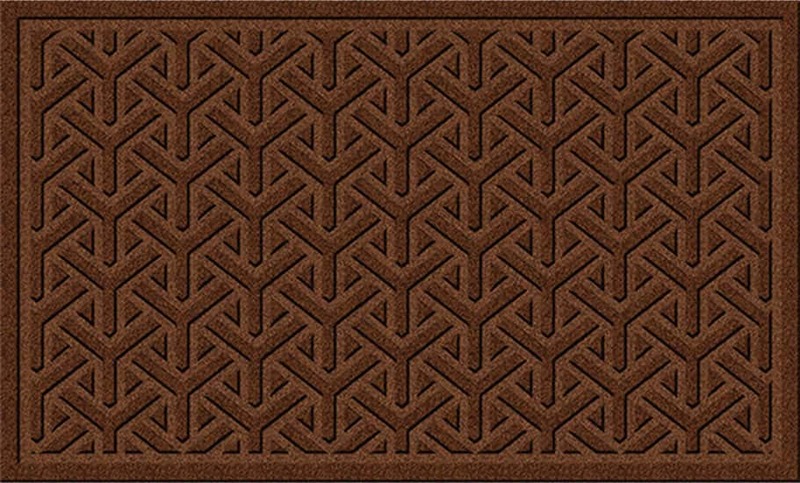 Excellent quality and helps the environment. 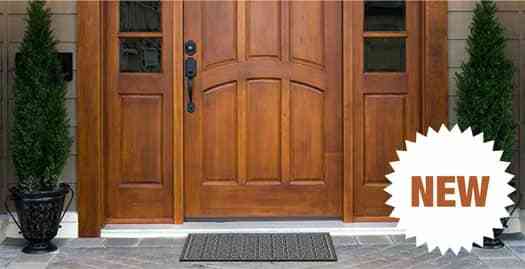 Our recycled rubber door mats are made from tire scraps. When you purchase this item, you are helping to keep America clean by keeping these tires out of landfills! 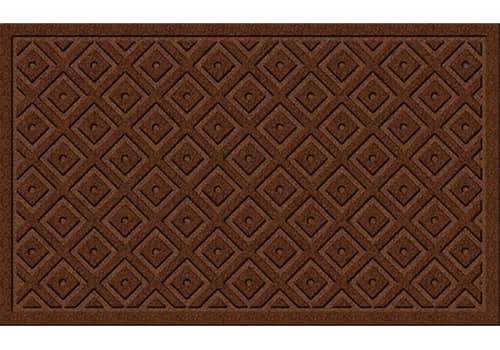 These 18" x 30" mats are 5/8" in thick and weigh 3.15 lbs. 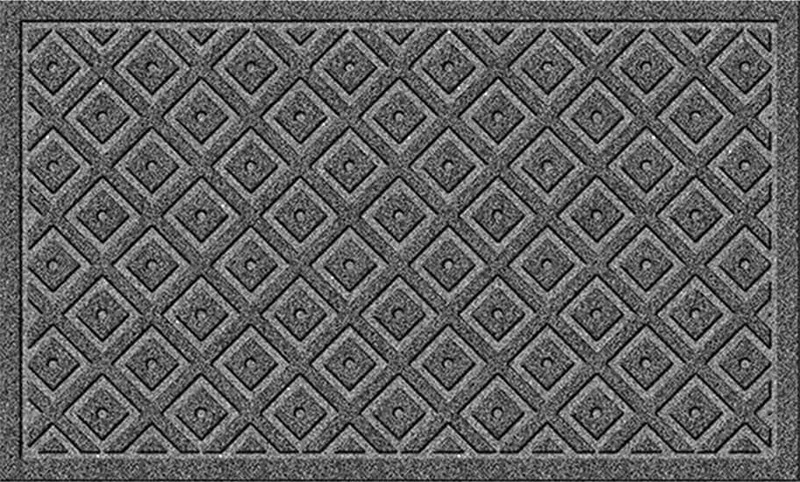 Our Mega Scraper door mats are the perfect outside front door mats because of their incredible scraping qualities... preventing the dirt and grime on your shoes from getting into your home. Supersized fiber denier allows water to quickly drain and dry. Ideal for all climates. 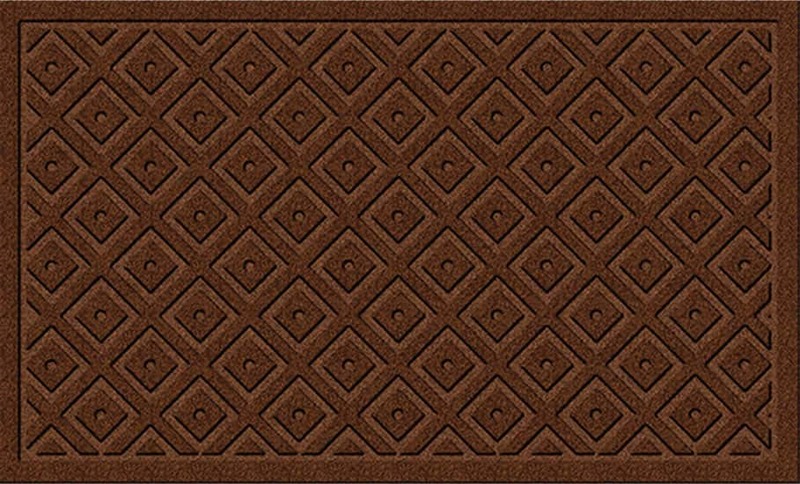 Scrapes shoes like no other doormat. Thick molded ribs with rigid scraping fibers. Stain, Fade, and Mildew Resistant.